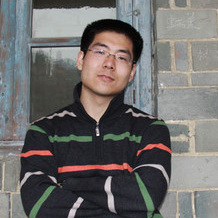 Yuechen is a senior student at Nanjing University conducting his undergraduate thesis project here and will begin his graduate work from Fall 2013. During one of his field trips in college to Hong Yuan, Sichuan, he was deeply impressed by the breathtaking landscape and determined to seek a research path that is related to nature and wildlife. He has also accumulated some experience in plant pathogen-resistance gene analysis, micro RNA interference, and influence of temperature on saltmarsh cordgrass in the context of invasion ecology. He is currently working on genetic analysis of the North American red panda (Ailurus flugens) captive populations.